The North Carolina state constitution isn’t broke and it doesn’t need fixing. Even so, this fall we will be asked to vote on six proposed amendments to the state constitution. All are designed to energize the Republican base in a year when that party is expected to suffer some losses. They also serve other purposes, including radical power grabs by the legislature at the expense of the governor, amendments to protect laws that the courts have ruled unconstitutional, and amendments addressing cultural matters or designed to lock in the present Republican agenda for future generations. To see the list and summary of the six amendments North Carolinians will be voting on in the general election in Nov 2018, read North_Carolina_NOW_Legislative_Update__7.2_July_2018.v3. Also captured in the report – a summary of ERA NC Advocacy Day 2018, new restrictions on early voting, a listing of enacted laws, and a list of failed bills. 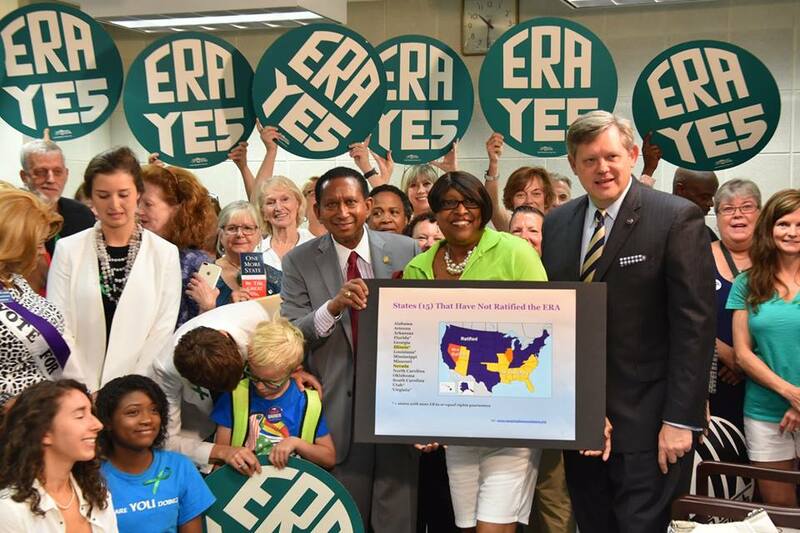 This entry was posted in advocacy, Equal Rights Amendment, ERA, voting, women and tagged advocacy, Equal Rights Amendment, ERA, legislative agenda, ncga. Bookmark the permalink.